I’m almost completely sold out of paintings painted on Egyptian Papyrus, so I am currently working on getting that sorted out! I just finished this painting now, it’s 23 x32 cm and is painted on papyrus. I really do think old hands are beautiful, I feel it’s like they tell a story, a story about life. I really enjoy painting hands like these. 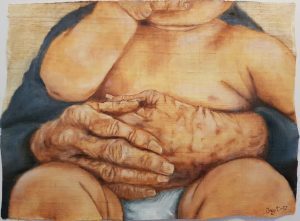 As a small child happiness can be as simple as curling up int the lap of grandparents (or great-grandparents) – people who have time to be there for you. I’ve called this painting “safekeeping”, and will be exhibiting it at Art Shopping in Paris next month. It as already been reserved by someone wanting to buy it if it doesn’t sell in Paris. If you want to see it in a larger format just click your way to the hands and feet gallery. 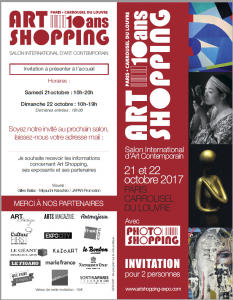 Here you can see the logo and invite for the guests to Art shopping in Carrousel du Louvre in Paris October 2017. 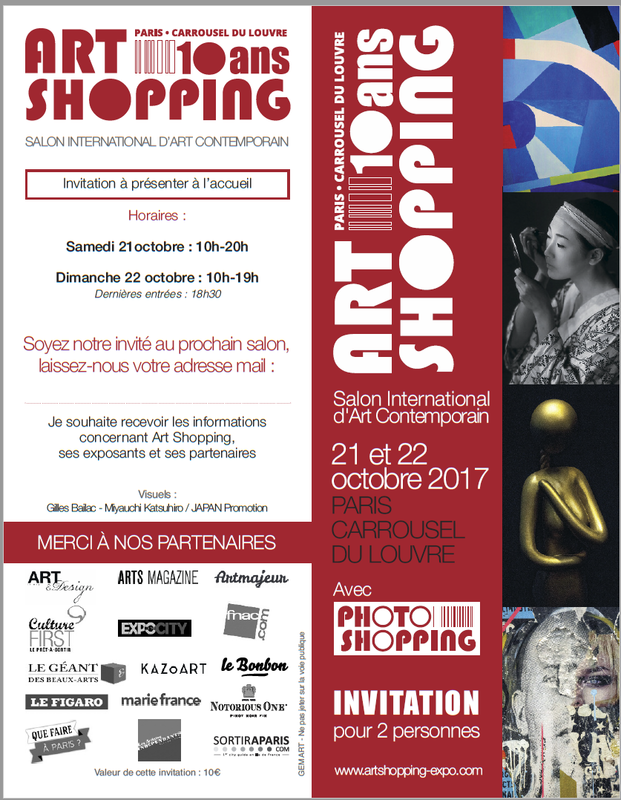 I am really looking forward to taking part, to meet so many artists and to see all the art, they are expecting 20 000 visitors this weekend.